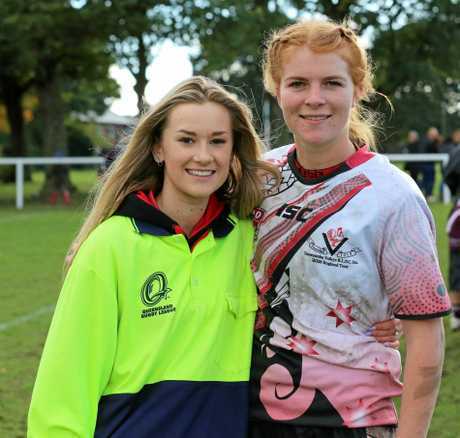 REEGHYN Beardmore may be currently sitting her final year 12 exams, but rugby league is still the main thing on her mind. Having just returned from a trip to England with her team, the Tooowoomba Valley Fillies, where the team won both their games convincingly, 17-year-old Reeghyn's league dreams are far from over. "I started playing when I was five years old, my older brothers used to play, and I was a pretty energetic kid so I started playing and I loved it. In under 14s, Reeghyn played in an all-girls comp in Harvey Bay, over 630 kilometres away from St George. Following that, she joined the Western Mustangs, where she was team captain. 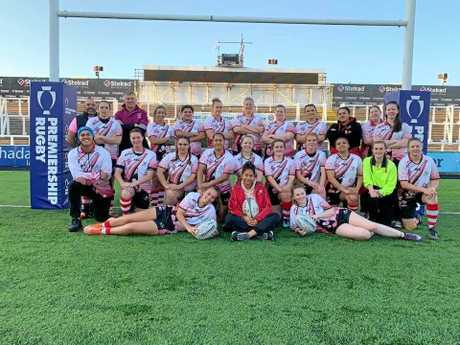 Joining the Toowoomba Valley's Fillies has seen her take her passion for rugby league around the world. The Toowoomba Valley Fillies had great wins over their English competition. The team won over the Whitley Bay Barbarians 42-8, and beat the Thornhill Trojans 34-6. With the end of her schooling on the horizon, Reeghyn has been offered a job by the NRL to be a mentor for kids in rural southwest Queensland. "I'll go around teaching kids skills and drills in this area, cause there's not many people out here. She has also been selected for the 2019 QAS camp, designed to further progress the state's promising league stars. Her mother Karen Beardmore said Reeghyn's passion for rugby league would take her far. "She's been playing against the Jillaroos all year in A grade, and they've been very inspiring to her. Karen said that she was proud of her daughter for sticking with her passion. Reeghhyn wasn't the only one making St George proud in England, with Madison Spackman, 19, also venturing to the United Kingdom to play for the Fillies. "Madison was not allowed to play due to a knee operation, she was unfortunately injured playing in Toowoomba, but she was an invaluable part of the team by being a water girl,” Karen said. Madison Spackman and Reeghyn Beardmore proudly represented St George in England.